“Maybe if you had a f**king business that you were passionate about, then you would know what it takes to run a f**king business, but you don’t, so don’t even act like you know what I’m talking about” – Kim Kardashian-West to Kourtney Kardashian. 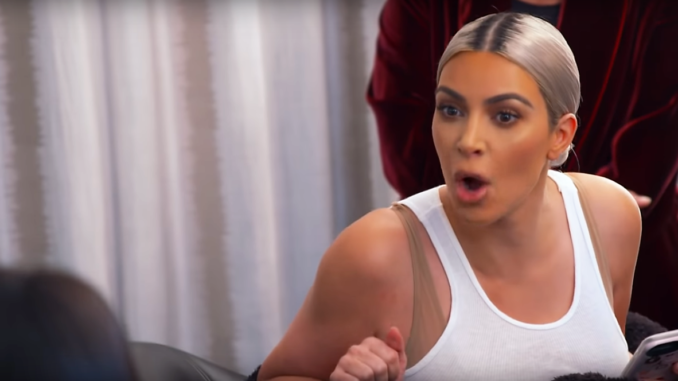 In a sneak peek for the upcoming season of Keeping Up With The Kardashians, Kim Kardashian-West unloads a shade-filled rant against sister Kourtney Kardashian. In the clip, Kim is struggling to plan a photoshoot for the family’s annual holiday card, but Kourtney is unwilling to budge. Kim, who has several businesses under her belt, found time in between her busy schedule to do the shoot, but Kourtney who Kim feels has nothing important going on, is unwilling to shoot at the scheduled time. Kim went off, kicking Kourtney out of the shoot, saying “she’s the least exciting to look at”.